A bit of searching with the obvious keywords produced that writeup, which suggests feather mites or other parasites. 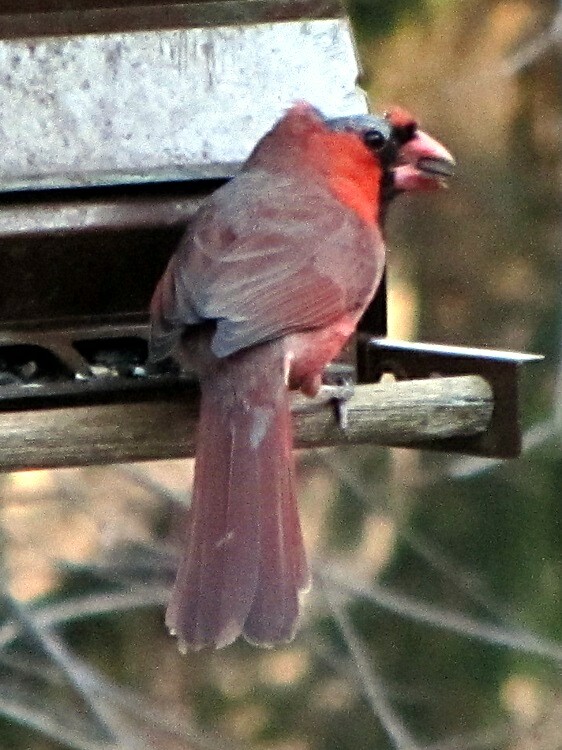 Given that this was in March, that cardinal is definitely not molting! Those pictures are tight crops from a hand-held Canon SX230HS at dusk, through two layers of 1950-vintage glass. 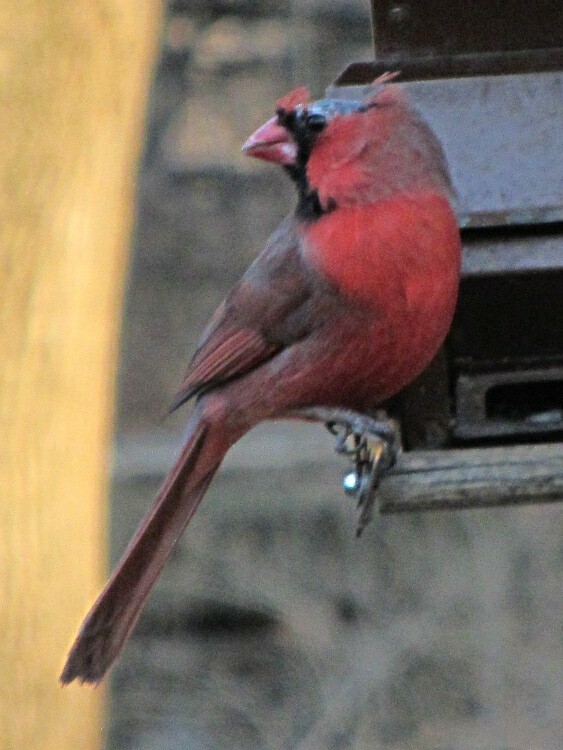 Sorry about that, but the bird spooks whenever I crack the door open for a better view.